Beautiful red-flowering edible canna lily. Rhizomes provide the important starchy staple, arrowroot. Rhizome producing perennial that can be grown as an annual. 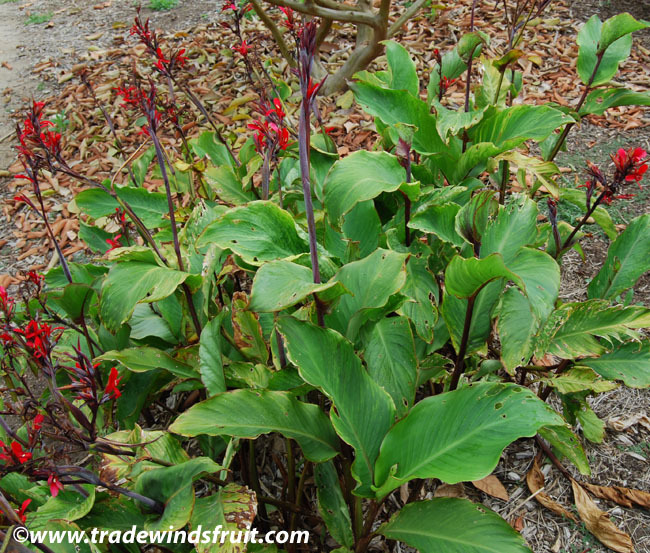 Achira grows much like ornamental canna species. Small herbaceous perennial, usually to 3-6ft. It is tender to hard frosts, but can be grown practically anywhere if its rhizomes are dug up during winter. Plants commonly die back during cold months, only to leaf out and bloom during warmer months. Plants enjoy regular water during the warm months. Plant in full sun, part sun, or shade. They can be grown in pretty much any type of soil. If growing in cold winter areas, dig up the rhizomes and store them in a cool area for the winter, then plant out after frost has past. By seeds, or by rhizomes. 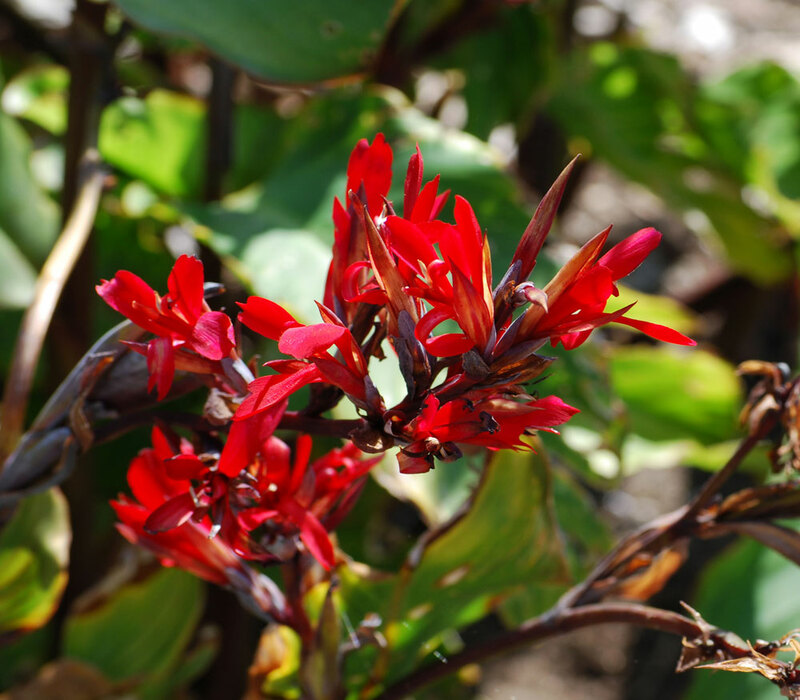 Grown both as an ornamental for its red flowers but more importantly, the rhizomes are edible, both raw and cooked. Ground rhizomes can also be used in baking. Arrowroot was once a vital crop of the Incas.